The Jack H. and Paula A. Hassinger Chair in Education was established in 1996 to reward distinguished professors who advance and foster education through teaching and administration, at any level. 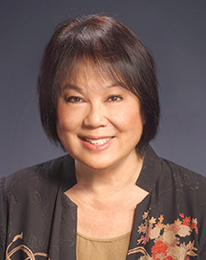 The chair honors the life work of Paula Hassinger, who had a distinguished career as an educator, ranging from Chapman University to American elementary schools in Japan and South America. The chair further pays tribute to her husband, Jack, also a career educator and administrator who supported numerous teaching efforts in China. Dr. Suzanne SooHoo is the Jack H. and Paula A. Hassinger Chair in Education and a professor in the Attallah College of Educational Studies. Visit her faculty page for a full bio. The Hassinger Chair pays tribute to Paula and Jack Hassinger who honored the life and legacy of Paulo Freire. Freire was awarded an honorary doctorate in 1998. 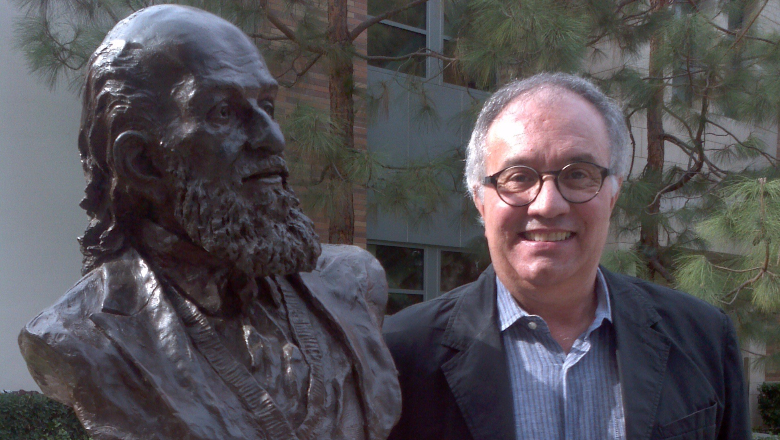 His bust is part of Chapman’s institutional intellectual genealogy and is a daily reminder of intellectual excellence, ethical concern, and deep commitment to the creation, nurturing, and sustainability of fair and just communities. Through dialogue and action, the Hassinger Chair re-envisions the philosophy of Freire and brings forward local and global partnerships, dialogical spaces for critical and relational consciousness, historical responsibility through archival contributions and recognition of cultural workers, both individual and institutional, who dare to teach/act via a commitment to love. 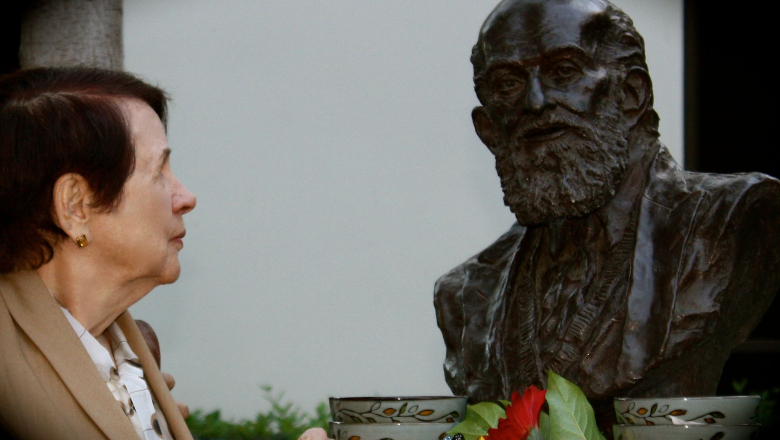 Chapman University's Leatherby Libraries is proud to be home to the Paulo Freire Archive. This archive contains collections and papers relating to Paulo Freire (1921-1997), his pedagogy, and leading scholars in critical pedagogy. A significant portion of the archive consists of the records from the Paulo and Nita Freire Project for International Critical Pedagogy with a highlight being the professional papers of scholars, Peter McLaren (b. 1948) and Joe L. Kincheloe (1950-2008). The Paulo Freire Democratic Project (PFDP) is a collection of local, regional and international initiatives based in Chapman University’s Donna Ford Attallah College of Education Studies. These initiatives reflect the political, pedagogical and ethical imperatives of the great Brazilian educator, Paulo Freire, and captures his democratic struggle for social justice. The Jack H. and Paula A. Hassinger Chair in Education Dr. Suzanne Soohoo serves as PFDP's Co-Director, along with Dr. Peter McLaren. Jack H. and Paula A. Hassinger Chair in Education brings projects to the attention of the Attallah College community that have the potential to address educational problems, e.g. equity, achievement of minoritized groups, etc. within local and/or international contexts. The success of these collaborations is determined mutually and often results in greater understanding, new learning, improved practice, and scholarship. Padres Unidos is a grassroots nonprofit organization devoted to parent education and school readiness. With a holistic family-based approach, Padres Unidos serves more than 4,500 low-income Latino students and their families in Orange County each year. The partnership between Padres Unidos and Attallah College has grown stronger over time due to shared goals and the focus of both organizations on servinglocal communities, schools, teachers, students, and parents by developing and executing programs that support capacity building, affect real change, and make a positive difference. As part of Chapman’s extended education program, the Attallah College and Padres Unidos developed the curriculum for a two-year Community Worker Paraprofessional Certificate program. In June 2018, the fourth cohort graduated from the Chapman and Padres Unidos training program. The Hassinger Chair and Attallah College forged an international partnership with the University of Waikato in New Zealand to increase opportunities for scholarly collaborations within an international context. The two Universities have a working relationship and maintain a collaborative partnership. Partners co-publish and co-present at international conferences.